Choosing the best packaged chiller to meet the demanding requirements of today’s industrial applications can be complicated. 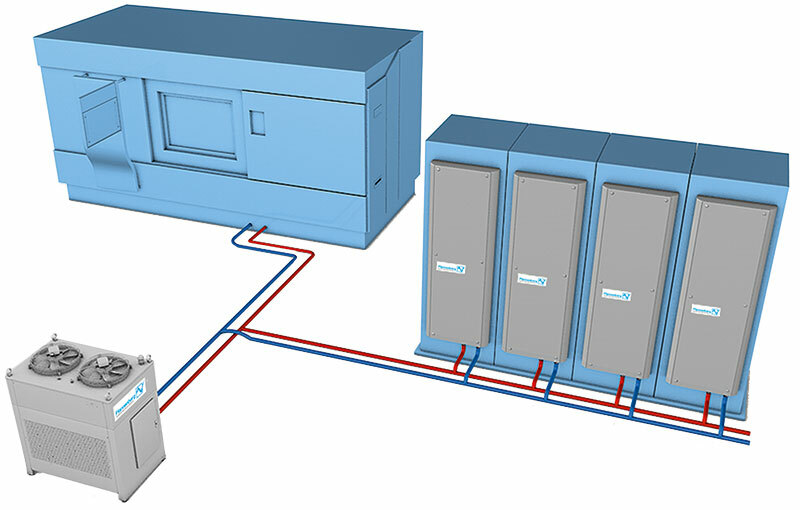 For that reason, Pfannenberg designed a 6 step guide to help you select the best chiller depending on your environment, process and type of application. Click on the picture to open the PDF or use this link! Maximum efficiency cooling for a whole system can be achieved with a cooling system solution consisting of air to water heat exchangers and water-based chillers. These ‘Liquid Solutions’ cool the complete assembly and offer significant benefits compared to traditional approaches such as cooling with ambient air. Pfannenberg’s Cooling Solutions Help Keep Equipment Running for One of the Fastest Growing Independent Wholesale Bakers in America. Flour is one of the paramount enemies of electrical enclosures and enclosure air conditioners, particularly in the make-up area of a commercial bakery. Keeping the electronics cool which power the machines, is essential to the entire operation of the Schwebel Baking Company. Without the electrical enclosures staying cool, the machines fail and require replacement or downtime for repair. Pfannenberg’s PWS Series Air/Water Heat Exchangers were an ideal solution for the Schwebel Baking Company, these Air/Water Heat Exchangers utilize glycol or a cool water source that is already available in the factory, to cool their electrical units. Pfannenberg’s Air/ Water Heat Exchanger has no filters, which means there is no down time trying to change filters or having them becoming clogged. By installing Pfannenberg’s Air/Water Heat Exchangers, Schwebel’s was able to see a significant difference in the cleanliness of their electrical cabinets as well as in the efficiency of the cooled air. Pfannenberg’s PWS Series Air to Water Heat Exchangers were the precise solution for Schwebel’s manufacturing process. Incorporating closed loop cooling with Air/Water Heat Exchangers improved performance, reduced maintenance, was energy efficient, and prevented unplanned repairs. If you need help choosing the proper cooling product for your application check out our Pfannenberg Sizing Software, it’s a free tool for you to use.